The perfect gift for the well groomed executive. Our "grooming & survival" set includes: a 6 oz. 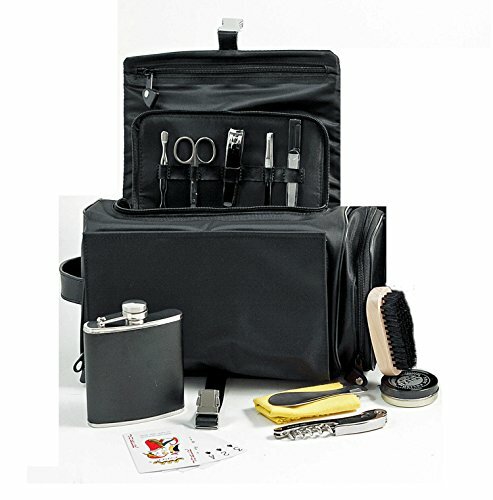 flask, bar tool, deck of playing cards, 5-pc shoe shine kit and 5-pc manicure set which includes a cuticle cleaner, scissors, large clippers, tweezers and a file; all housed in a handsome black leather & nylon case. Measures approximately: 11"W x 6"D x 6"H.
Measures approximately: 11"W x 6"D x 6"H.